Friends are flowers that never fade! 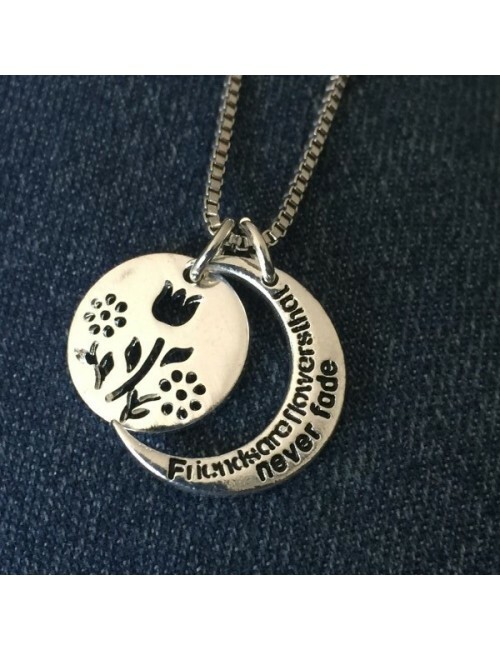 Give this beautiful necklace to your best friend as a daily reminder of your friendship. 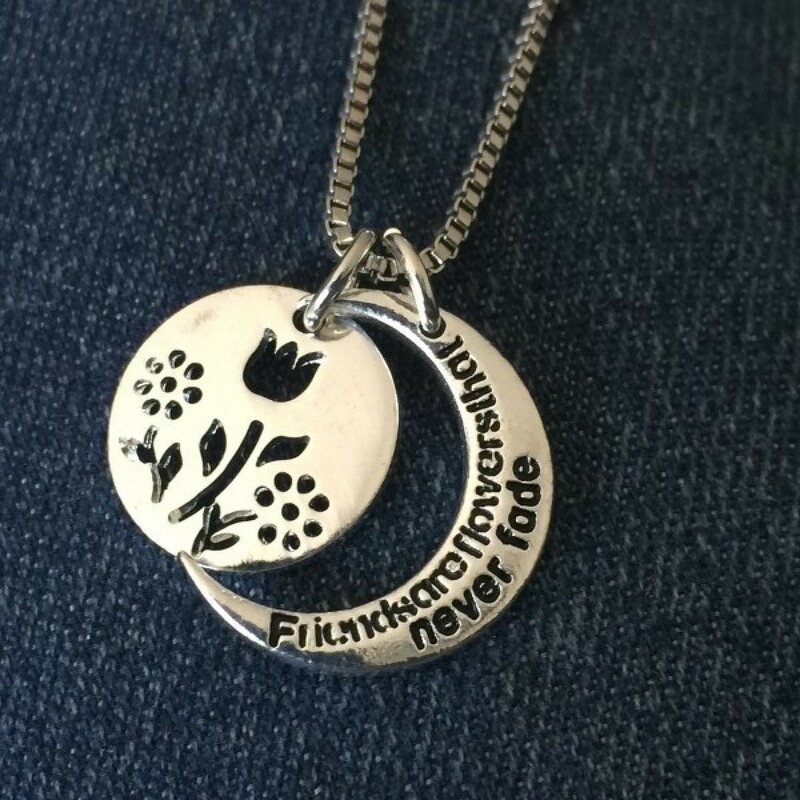 MATERIALS: Rhodium plated base metal pendant.